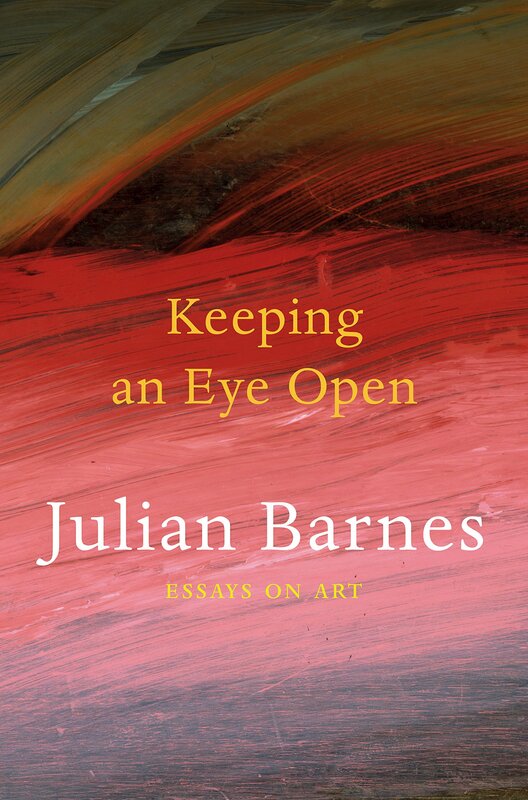 Julian Barnes is a brilliantly versatile novelist, and with the essays in Keeping an Eye Open he proves that he can be just as erudite and intelligent in the world of art as he can in the realm of literature. Barnes approaches art history with a novelist’s hunger for research and context and transposes the lives of seventeen artists into thoughtful and concise morsels of biography and critical theory. Each short essay runs about twenty pages and effortlessly renders each artist into vivacity. Barnes scratches the surface of a deeper reading but does so in an inspiringly shallow way; he starts the discussion and lights the way for the reader and viewer to make discoveries of their own. The artists on view in this generously illustrated and finely-produced collection are mostly obvious picks: Barnes focuses on Courbet and his Origin of the World, Manet at the Musée d’Orsay, Degas and his dancers, Magritte and his surrealist flights of whimsy. The collection is rounded out with illuminating essays on tertiary greats like Odilon Redon and Félix Vallotton, and even boasts a few contemporary digressions on Claes Oldenberg and Ron Mueck (in a beautiful essay connecting his “Dead Dad” sculpture with a work by Paul Richer from a century earlier). The inclusion of a long essay on Géricault’s “Raft of the Medusa” even connects Keeping an Eye Open to Barnes’ earlier work – the Géricault piece is one of the titular parts of the author’s 1989 collection, A History of the World in 10 ½ Chapters. 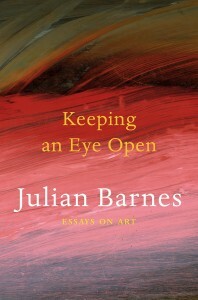 While a deeply worthwhile collection, Keeping an Eye Open is limited by the strengths of its author. Barnes is an exceptional writer, particularly so when doing historical research: Flaubert’s Parrot is still heralded as one of his best works, and his most recent memoir Levels of Life (in part about 19th century photographer Gaspard-Félix Tournachon) confirms that Barnes is inimitably capable of extracting a story from a stack of source material. Keeping an Eye Open is research-driven, biographically minded, and almost to a fault relies on placing these artists in their historical context. While accessibly written, what’s missing is the experience of going into a museum and piecing it all together from scratch, reveling in the imagery and execution of all these classic works of art, relying on the eye alone. Instead, we look at Degas hand-in-hand with his misogyny, see Bonnard as the anti-Picasso, even an essay on Lucian Freud begins with a digression on Rembrandt. This may be, as a whole, the “right” way to keep the eye open, but it feels a little more like keeping a biography bookmarked and a memory jogged. Nearly every essay is a triumph of contextualizing, but it is pecular to see such a visually motivated book rely so heavily on research-based knowledge. This is an important digression in Keeping an Eye Open, one that accepts and embraces the author’s limitations of approaching these works as a scholar. With this, Barnes pushes his readers out to the museums to reopen our collective eye. He’s seen a plethora of exhibitions through the eyes of a major literary player; what will we see?